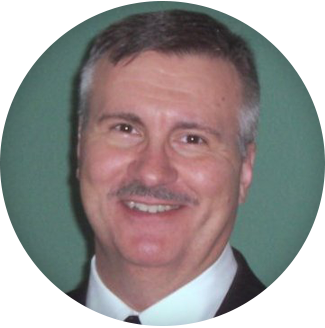 Richard R. Johnson, PhD, is a trainer and researcher with Dolan Consulting Group. He has decades of experience teaching and training on various topics associated with criminal justice, and has conducted research on a variety of topics related to crime and law enforcement. He holds a bachelor’s degree in public administration and criminal justice from the School of Public and Environmental Affairs (SPEA) at Indiana University, with a minor in social psychology. He possesses a master’s degree in criminology from Indiana State University. He earned his doctorate in criminal justice from the School of Criminal Justice at the University of Cincinnati with concentrations in policing and criminal justice administration. Dr. Johnson has published more than 50 articles on various criminal justice topics in academic research journals, including Justice Quarterly, Crime & Delinquency, Criminal Justice & Behavior, Journal of Criminal Justice, and Police Quarterly. He has also published more than a dozen articles in law enforcement trade journals such as the FBI Law Enforcement Bulletin, Police Chief, Law & Order, National Sheriff, and Ohio Police Chief. His research has primarily focused on police-citizen interactions, justice system responses to domestic violence, and issues of police administration and management. Dr. Johnson retired as a full professor of criminal justice at the University of Toledo in 2016. Prior to his academic career, Dr. Johnson served several years working within the criminal justice system. He served as a trooper with the Indiana State Police, working uniformed patrol in Northwest Indiana. He served as a criminal investigator with the Kane County State’s Attorney Office in Illinois, where he investigated domestic violence and child sexual assault cases. He served as an intensive probation officer for felony domestic violence offenders with the Illinois 16th Judicial Circuit. Dr. Johnson is also a proud military veteran having served as a military police officer with the U.S. Air Force and Air National Guard, including active duty service after the terrorist attacks of September 11, 2001. Before that, he served as an infantry soldier and field medic in the U.S. Army and Army National Guard.